This ain't your grandma's museum tour! This two-hour, fast-paced, interactive small group tour offers you the most incredible, most scandalous and most amazing backstory for the amazing objects at the Metropolitan Museum of Art. This is an unconventional tour of The Met. Not recommended for participants under 16 years old. New York City's Metropolitan Museum of Art is a massive, venerable cultural institution. Even the most seasoned art experts take longer than a few hours to digest all that lies within the Met's hallowed walls. This tour offers a fun, group-oriented tour experience certain to keep you entertained and teach you a bit along the way. 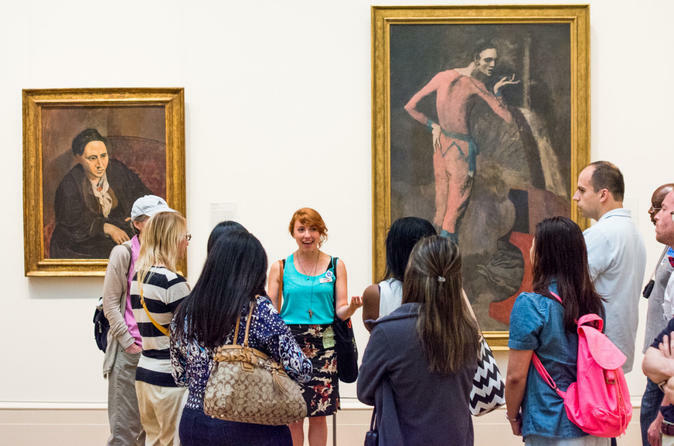 On this 2-hour, fast-paced, small-group tour, you meet your passionate, renegade tour guide, who will show you the craziest, most incredible objects in the Metropolitan Museum of Art's collection. Each tour is customized to the interests of the group -- no tour is ever the same! You'll here the scandalous backstories behind the artists and the art, play fun games, take Instagram-worthy photos and have more fun in a museum than you could possibly imagine. Don't expect straight art history -- expect an awesome museum adventure!